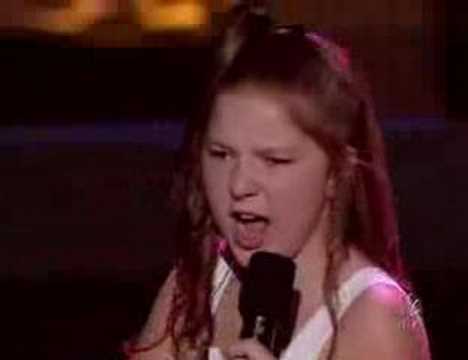 Bianca Ryan (11) surprises the crowd and judges of America's Got Talent singing 'And I'm Telling You (I'm Not Going)'. Bianca Ryan (born 1994) is a singer from Philadelphia, Pennsylvania who is a finalist on NBC's America's Got Talent. When she auditioned she sang Jennifer Holliday's "And I'm Telling You (I'm Not Going)", surprising the crowd and judges with her impressive voice, unusual for an 11-year old child. After performing "Piece of My Heart", barefoot a la Janis Joplin, at the semi-finals, Bianca was announced the viewers' choice that week on America's Got Talent, and went on to win the million dollar finale.